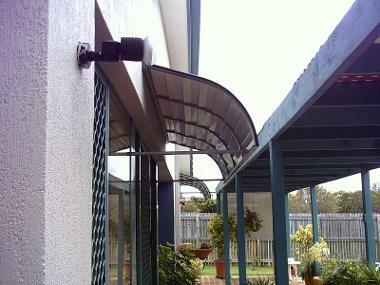 Stafford Weather Proof Awning has a special clip locking system with no visible fixings. It is an ideal solution to shelter your deck, patio or balcony from the rain and provide shade from the harsh Australian sun. * Not guaranteed waterproof in extreme weather conditions. Bahama Horizontal Awning is another great waterproof aluminium awning for balconies, verandas and small patios as well as window hoods. It has neat clean lines and an attractive under structure. * Not guaranteed waterproof in extreme weather conditions. 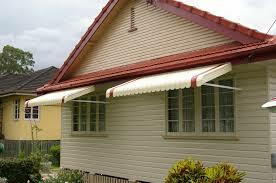 Pacific Horizontal Panel Awning is suitable for small verandas and patios as well as window hoods. It is also waterproof at 20° pitch with a click lock system and attractive under structure. It is available in a wide range of modern and traditional colours to choose from to suit your style and add a personal touch to your home. Claredale Fixed Vertical Panel Awnings is another popular option to protect your windows, doors and even patio area from the sun and the rain. Aluminium is designed not to rust so our aluminium awnings will stay in perfect condition throughout the many weather changes. Be aware of cheaper copies on the market made from mild steel.